If you're looking for your coffee morning fix, try adding a spoon of this to a Vanilla shake. You'll end up with a great iced coffee to take on your way to work! One of my favourites! I got this as a freebie with an order. Really lovely taste.. I will order some when I run out..Great! almost as good as drinking a latte with the added benefit of only 2 calories per cup! try it! you really will not miss your usual cup of coffee and it is perfectly ok with no milk or sugar, really it is sweet enough! 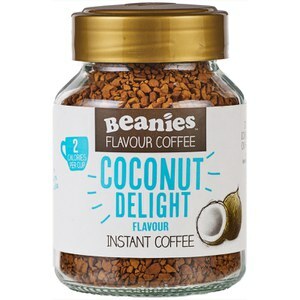 I bought this and the Cinder coffee as I rarely drink black coffee, more of a latte fan myself but as milk was off the menu, I thought I'd get one with a little flavouring. I love Baileys and other Irish creams and when I oped the jar on this and popped the paper seal it smelt a lot like what I was expecting but like with the Cinder version the taste wasn't really there, it was enough to take the edge off the full on black coffee flavour but it could have done with being a little less subtle.